When you’re busy and trying to stick to a budget, dinner needs to be quick and cheap. But there’s no need to skimp on delicious! Save money and time with these cheap and easy dinners your family will love. 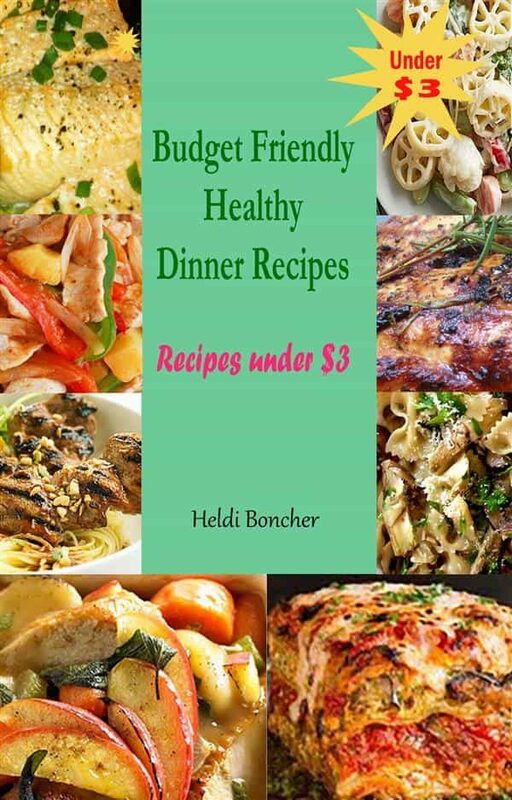 We have handpicked most popular and at the same time cheap recipes that are under $3 per serving and compile it in to our latest book Budget Friendly Healthy Dinner Recipes. All recipes included are tried and tested by various people. Here we have included only those recipes that are given five stars on our ranking system and cost not more than $3 per serving. We are sure that while preparing these recipes you won’t be racing to the bank to cover your grocery bill. What you are waiting for? Grab the Book Budget Friendly Healthy Dinner Recipes and start making the food, which we are sure to give you instant gratification. You will find recipes like Chicken with Parmesan Noodles $2.10 per serving, Veggie Mac and Cheese $1.29 per serving, Ham and Sweet Potato Mini Flatbreads $1.78 per serving, Fish Tostadas with Chili Lime Cream $2.82 per serving, Triple-Veggie Pasta $2.95 per serving, Peanut Fettuccine with Roasted Cauliflower $1.81 per serving, Bacon and Egg Rice Bowls $1.49 per serving and many more…. .